Qigong is the art of Harnessing QI, which directly affects the blood flow and is an exercise that makes your blood pulse. This pulsing occurs by moving Qi using specific breathing techniques along with postures and slow graceful movements. Qigong also encompasses using healing foods, herbs, acupressure, yogic stretches, all of which energize the body, increase vitality & accelerate metabolism. Qigong is circulation; term “blood flow” is synonymous to “moving Qi”. Many studies confirm practicing reduces drug withdraw in Heroin addicts by 50 percent. Several of our senior instructors are teaching with huge success at Florida drug rehab clinics. Studies also reveal Qigong boosts the immune system and is beneficial for fighting cancer. Dr. Oz was quoted saying, “If you want to live to 100, do Qigong.” Our methods taught here originated 3000 years ago by mountain wonderers, people who were activated by Qi. Acupuncturists are strong believers in Qigong and some actually prescribe exercises to their patients in between treatments. Qigong is different from Yoga primarily because it requires slower more gracious movements to harness your electromagnetic field. Some Qigong exercises build muscle or speed, but most are a pulsation of Qi through the body. Qigong is the “sensation of energy” and is highly tangible. A few advanced systems of yoga, like Kriya Yoga, have striking similarities to Qigong. However, compared to most systems of Yoga, Qigong has a much greater emphasis on precise breathing techniques. Qigong deals with smaller movements of the abdomen to circulate Qi and more precise movements of the hands, rooting into the Earth and opening up pathways of energy. Yoga works with energy, but to a lesser degree and although we practice and love Yoga, Qigong does what Yoga cannot. We train many thousands of yoga teachers and they are always blown away by the tangibility of Qi experienced. Qigong Strength Training is nurturing to Qi instead of taxing like some traditional exercises. “Holding Qi” postures like Horsestance build the root chakra and leg strength. When doing HyperThrows in our routines we use fast followed by slow brush movements, which works wonders for circulatory issues, building speed, strength and giving burst of energy. Mike Maier, a retired fighter pilot and martial arts seeker was so badly injured he couldn’t hold his arms above his head for more than ten seconds when we first met. He came up to me at the 2,000 person Qigong National Event in 2013 to complain of his discomfort. 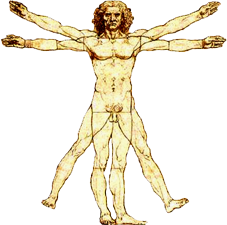 I advised his body was adaptogenic and building new neurons as we were talking preparing his arms for the next time he would be holding the postures. 6 months later Mike became an advanced teacher of our Qigong Strength Training. I watched personally as he did 200 pushups before my eyes, which is prerequisite for passing that certification. He could not do even one single push up before meeting us! The belief is Qi moves blood and possibly helped move circulation into his torn shoulder along pathways that were previously blocked. This is an example of how Qigong can heal even though the exercise is obviously challenging—everyone can do it. We’ve Certified 3000 Instructors to teach Level-1 Qigong Form! Take the challenge to practice every other day for 60 days and watch your body transform! Gives muscular definition and is a healing practice.